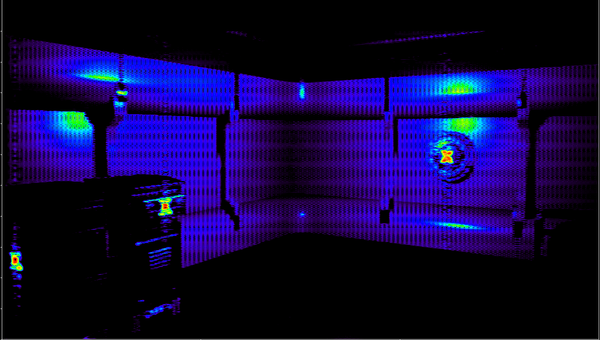 Exagen was an unofficial ARG made by Discord users. Exagen is the prequel for Society X, and is made by the same puppetmasters. 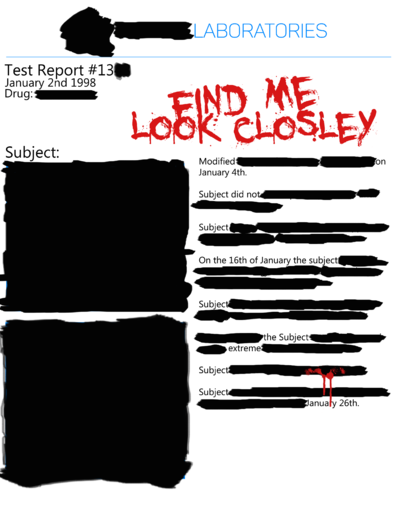 On August 16th, 9:05 PM UTC, A discord user by the name of Charles J. Cruz posted a link in the Game Detectives, and SCX discord with a message. The site had a contact email, and a bitcoin address. I have posted my website on many websites and social media platforms as a form of self promotion. And while I don't directly need help for my story on Exagen Laboratories, I would recommend for you to educate yourself on the issue. While Exagen has been pretty quiet for the whole 12 years that they have been allowed to operate on our tax dollars, they are slowly starting to become more public. I'm sure you'll be able to find more about them somewhere online. Looking for "Exagen Laboratories" on youtube brought this link. 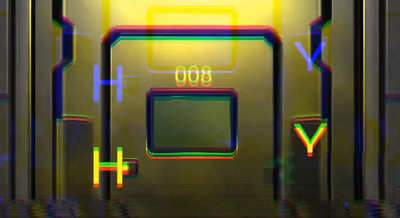 A frame from the video showed another link, which at the time of discovery had only read "Coming Soon". Upon contacting Bobby Waters again about the video and website findings, this is what he responds. I was already aware of the website and the video however I wanted to encourage you to go out there and look for it yourself. The website has been up for a few days and it seems that Exagen is trying to launch a site as part of them becoming more public. It seems like the website is currently only a default coming soon page but, I would expect the site to come online somewhere within the next week or two. This gives the info that the Exagen Laboratories site is coming online "within the next week or two." On September 8th, at 8:03 UTC, https://exagen.org/ changed to say Website in developement, opening September 10, 2012. On September 10th, at a currently unknown time, the aforementioned Exagen website was fully opened. When on the site, there are four links, the home page, an about page, projects page, and a careers page. The home page lists the fields Exagen specializes in and why. The fields Exagen is successful in. Exagen's plan is to create a better future. We are working hard making revolutionary discoveries in medicine, technology, and general science. We want to make the world a better place by stepping on things such as cancer, down syndrome and other diseases and disorders that make life difficult. We want everyone to have a happy, long lived life. Exagen has created over 20 different medicines, all making life a little bit better. The projects page lists 3 drugs in production by Exagen: Amantensin, ZTil, and Decontynal. Amantensin is described as a drug being developed to help level out cholesterol levels in men over the age of fourty." ZTil is described as a sleep aid being developed to help people suffering from Insommia. Decontynal is described as a work in progress brain stimulant being developed with the goal of alleviating symptoms of schizophrenia. 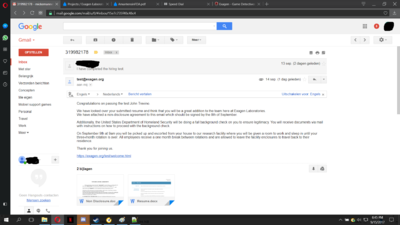 On September 11th, at 11:49 PM UTC, users who emailed the careers address received a message back consisting of a link to a hidden page on the Exagen website. 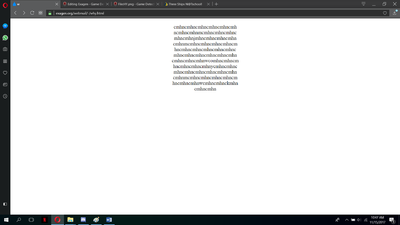 The page consisted of a white screen with a code on it. The solution was found through double transposition, and when decoded, read the following. I come out in times of epidemic. I helped victims in one of most devastating pandemics known to man. When the phrase Plague Doctor was sent to [email protected], players received an email containing the text .html. This led players to find the next step. 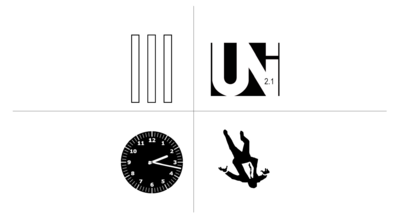 The image consists of 4 different objects, including the roman numeral 3, the Unicode logo, a clock stuck at 14:17, and a falling man, with a small "8" on his tie. 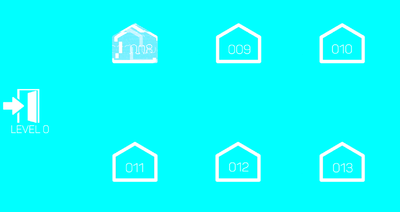 The four images found on the second puzzle. The Unicode logo was found to be for a specific version of Unicode, released in 1998. The images combined gave players a string of numbers: 319982178. Using this tool and the string of numbers as a key, players received the solution Continue. Congratulations, if you are reading this you have completed the Exagen hiring test. To continue with you application process please email [email protected] with the following code in the subject bar: 319982178 and we will get back to you shortly. Congratulations on passing our hiring test. At Exagen our plan is to create a better future. 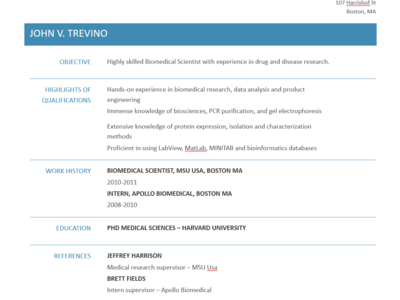 We are working hard making revolutionairy discoveries in medicine, technology and general sience. We want to make the world a better place by stepping on things such as cancer, down syndrome and other diseases and disorders that make life difficult. We want everyone to have a happy, long lived life. You are currently located in the employee briefing room. Take a moment to look around. You can find your designated office space on level 4, room 410. Your employee orientation meeting will take place at 12pm in the employee lounge on level 3. Thank you for joining us, we look forward to working with you. After the video plays, the page redirects you to an e-mail account inbox, containing 4 emails. This is your email, you are to use this for internal messaging. Do not use this email for personal messages, allowed domains are on a whitelist. We hope you enjoy working at Exagen. Hey John, Congratulations on getting hired. Things are pretty hectic here but I just wanted to say hello. I am in room 312 if you ever need anything. Great work on the presentation today. I am very happy that Todd put you on the Amantensin development team. 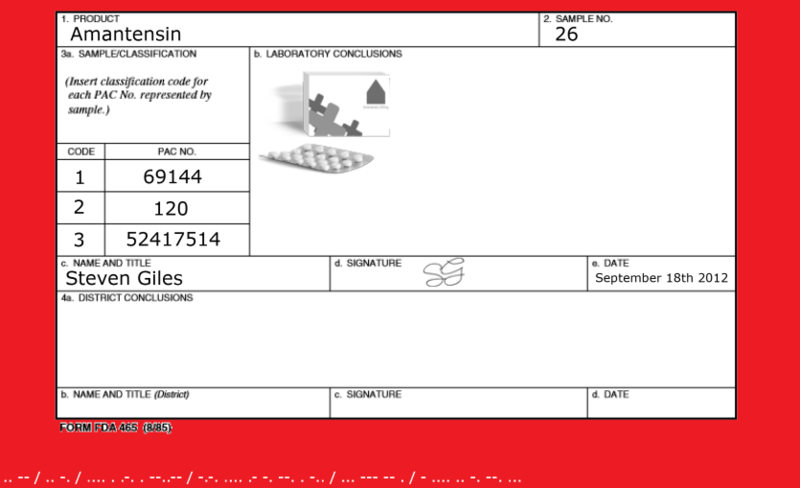 Just got this from Steven, I need you to fill it out and sign off on it. This all seems insane. From applying to a simple laboratory to signing NDAs and getting transported via Military helicopter to an underground research bunker. Better keep my head down. This lead players to find that the numbers in the PDF, 6 9 14 4/1 20/5 24 1 7 5 14 is a Numbers-Letters cipher for FIND AT EXAGEN. This Morse decodes to IM IN HERE, CHANGED SOME THINGS. Just wanted to let you know that we will be having another Amantensin meeting on the 24th of September. I will send you another email before the presentation so you can prepare yourself. Something was certainly off about that form. I emailed the address I discovered however, I still haven't received a response. Maybe someone is just trying to mess with me. 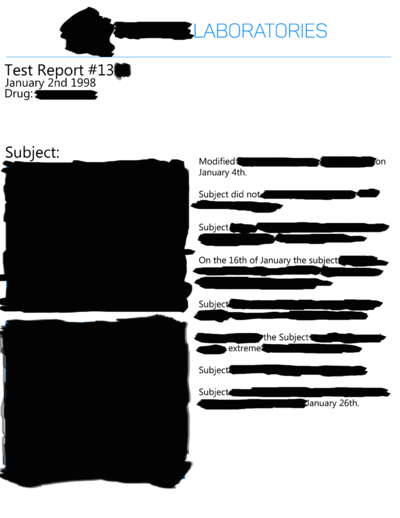 On September 24, two emails were received, one stating the Amantensin meeting was canceled, and the other stating the same thing, but much more visually corrupted. The meeting has been postponed for a few days. THE MEeting has been POSTponed for a fEw daaYys. 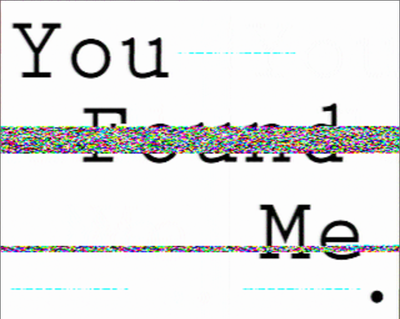 The link lead to a blank web page, with SSTV audio playing in the background. 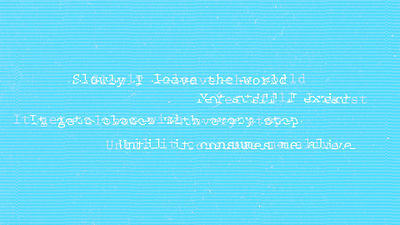 When decoded, the audio showed the following image. After 2 days, users were finally able to get to the next step. The riddle reads the following. Slowly I leave the world. It gets closer with every step. 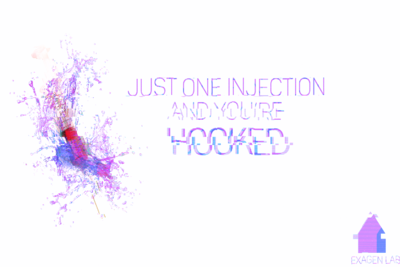 Until it consumes me alive. 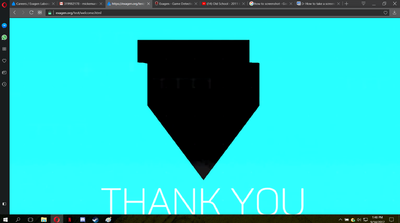 As of September 30th, the corrupted email was changed, and a link to a transparent image containing 4 dashes was added. Users discovered that the 4 underlines lined up with 4 letters in the riddle, and spelled out SYIU , which led users to find this page. 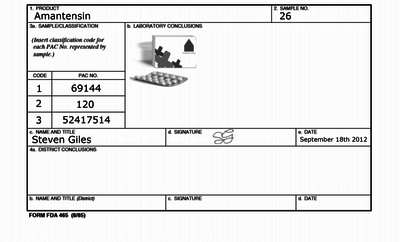 The description for the SYIU drug. The bottom of the description read Insert UNKNOWN = /-/ , which led users to also find https://exagen.org/email/-/UNKNOWN.html , a cryptically edited version of the welcome video. The text from the UNKNOWN video. After many hints from the PM, the players figured out that the string is actually hashed using the hashing type murmur3, with the decoded value truning out to be: hidden This led to the webpage hidden.html which auto-redirects to hidden.png. The image can also be seen below. As of October 6th, hidden.html updated to show a hint. When editing the picture with paint, players found a w at the bottom right where blood could be found. This led to the webpage w.html. The only phrase that can be seen on the page is 4 below and 2 left.. Players had to refer themselves to welcome.html to solve the puzzle. 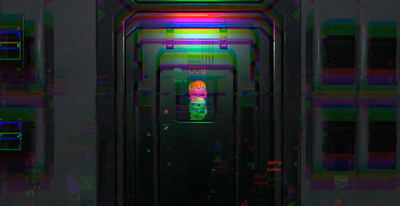 Using the phrase when looking at the plan of the 4th Level from Exagen Laboratories, players got the number 008 which, upon entering it on the weblink as an .html, led to 008.html. When looking at the html-code, players could see a comment on line 129. 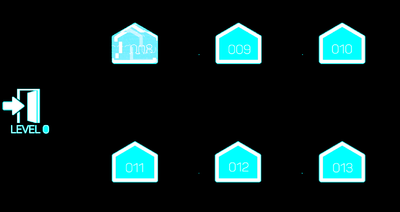 Players then started to edit the webpage, only to reveal 4 specific dots. PM pointed out that nothing can be done at the time; players need to wait until new puzzles have been discovered. On the 6th of November, the webmail updated to show 2 new mails. I'm currently doing some last minute solution checks for the Amantensin tablet proportions. Would it be possible to talk tomorrow, just want to make sure I don't get anything wrong. Still not sure when, so I will let you know when the debrief comes up. Also, when going back to the html code of 008.html, players could see a comment that read the following: video. If you were to put "video" into the standard format of the earlier urls. You would get to this website. The website itself is just a looping video that has 2 letters hidden in the video, and a puppet-head. PM gave a hint that players needed a piece from a previous puzzle in order to solve this one. Going back to w.html, players could make why out of the 3 letters, which gave us why.html. This then led to players thinking about 5, thus entering the 5 in the standard .html form. This is where you'll be brought to. In this page, all that can be heard (there is nothing to be seen on the page) is another .wav file which, again, could be turned to an image using spectrogram. This page is a work in progress and will be updated as more comes to light.